Note: Above video is from May 2016. TJ Maxx's sales are soaring. In its most recent quarter, the company saw comparable sales rise by 4%. It's the company's 30th consecutive quarter of growth — practically an anomaly in the retail industry today. As sales at stores likeMacy's and Nordstrom lag, TJ Maxx is hitting its stride simply because it's a more rewarding place to shop. 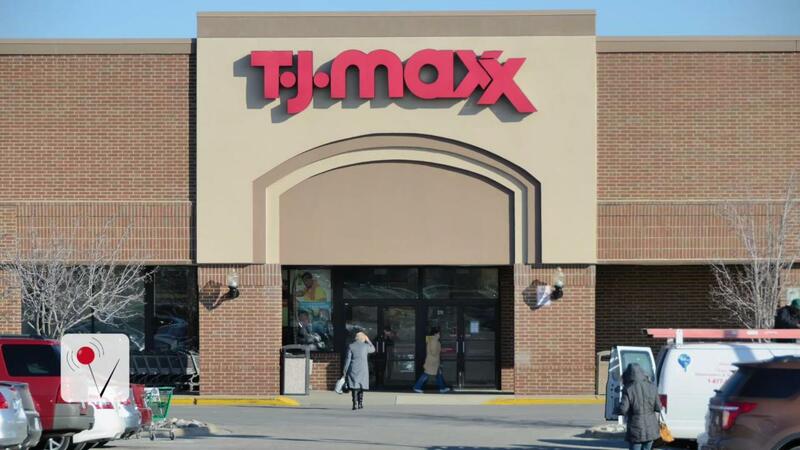 "TJ Maxx at this point is getting some really great authentic brands," Gabriella Santaniello, analyst and founder of consulting firm A Line Partners, told Business Insider. She described shopping at TJ Maxx as a "treasure hunt," where you can dig up authentic gems at heavily discounted prices. There are no sales or promotions triggering these bargain bin prices, the company notes on its website; it simply operates by selling designer apparel at 20-60% off. That's a huge draw for frugal, stylish consumers. First, it drives immediacy: if a customer sees something they like, they need to buy it there and then or run the risk of it not being there next time they visit. Second, it increases average transaction value as customers often enter stores with a fairly open mind rather than a fixed list of things they need; this generates high levels of impulse purchasing as shoppers find things they did not know necessarily they wanted. Thirdly, it drives frequency of visit with customers going to stores simply to see what's new rather than because they have a specific purchase in mind. A minimalist must have? The perfect leather crossbody by your side. (📷: @myriadmusings) Shop our exclusive leather & suede shop by clicking the link in our bio. TJ Maxx's success should be concerning for ailing department stores that are fighting to get people to pay full price. Between constant discounts and the success of low-price brands like Zara and Forever 21, it's harder than ever to get consumers to pay a premium. In response, department stores are leaning heavily on their lower price outlets. Macy's has its Backstage stores. Nordstrom has Rack. But at Macy's, an in-store off-price section called Last Act shows a brutal new reality of what the department store has turned into: total disarray, chaos, and lack of prestige. Nordstrom's Rack stores have proven to be successful — in fact, they outnumber Nordstrom's full-line stores and have reported positive comparable sales when the full-line stores have reported dropping sales. But there's a problem: the line is getting blurred between the two brands due to the sheer proliferation of Rack stores. TJ Maxx doesn't have to worry about this type of conflict: it never was a premiere retailer in the first place. "[TJ Maxx] is doing off price right," Santaniello said, noting that the key difference between TJ Maxx and off-price stores like Backstage and Rack could be linked to the way consumers perceive the store. "As we have said before, [TJ Maxx] is one of the reasons that US department stores cannot succeed at the discount game," Helgesen wrote.